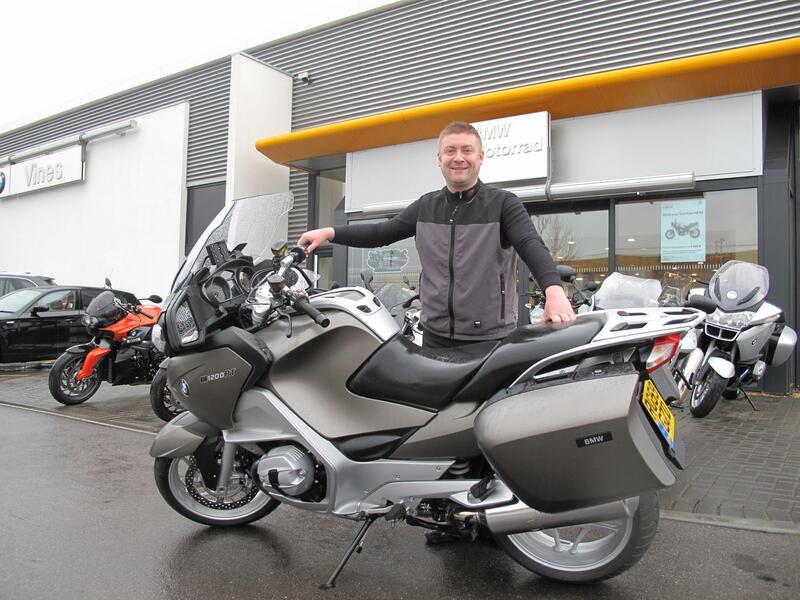 In terms of timing, weather and traffic, the day I hitched a lift to Vines in Guildford to pick up my BMW R1200RT long term test bike couldn’t have been any worse. Around 20 miles away from the arrival at the dealership it started to rain and it got worse by the minute. I got there just after 3pm, by the time the bike was ready and I was changed it was almost 4pm. And it was lashing down. And so onto the M25 in the pouring rain with 20 miles of stationary traffic to filter through on the RT which is nearly two metres wide with the panniers in place. And then it got dark and really, really started to hammer with rain. Onto the M40 to avoid yet more standstill traffic and the rain was coming down so hard that there were two inch deep rivers of water running across the motorway causing the front end to aquaplane every now and again. On so many bikes the trip would have been a horrible nightmare. On the RT it was actually good fun; apart from the filtering which was the usual mix of car drivers not looking or indicating before changing lanes, slippery catseyes and broken road surface. The rest of it with heated seat and grips set to maximum, electric screen raised up and the Electronic Suspension Adjustment (ESAII) set to comfort was lovely. Friday evening traffic was bad but making progress was still possible. I got home after two-and-a-half hours of non-stop riding without an ache or a pain and learnt a lot about the bike too.